“Those of you who pray more than the others, and think that this will get them greater rewards, are those who are the least faithful amongst you, because you yourselves do not understand what it is you believe – as if you were beggars, unable to do anything more than beg that your wishes be granted! 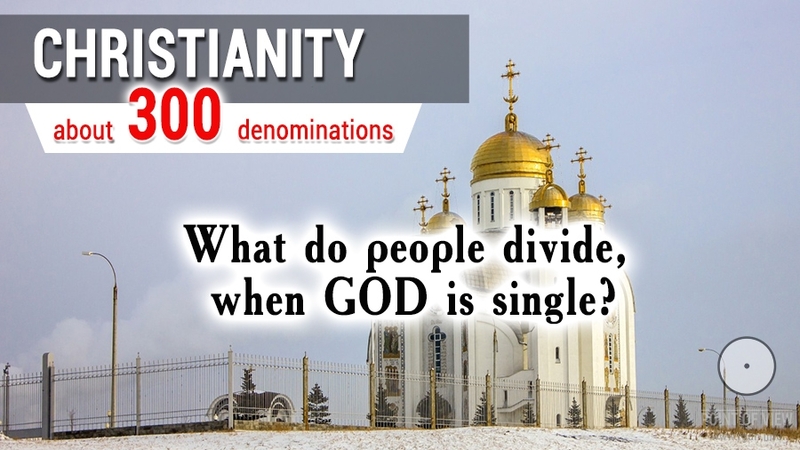 Why do you wheedle favours from God? Do you think He made a mistake in giving you the conditions you have? Do you wish to teach Him how to correct His errors? In this case, the God you believe in is unreasonable. Why then do you even call him God at all? Why do you believe in Him? Why do you pray to Him? Ye worship ye know not what, and there is little truth in what you believe. But I say unto you, that it is worse to be of little faith than to have no faith at all. For as you deny God, you shall in the end come to Him, just as wherever you walk upon the Earth, you will come at last to the ocean. But if your faith is weak, you shall go nowhere, but be instead buffeted from side to side. And so you shall be like a stagnant mere or charred log, and never be like the clear water or pure flame. …Whom do you go to listen to in the temple? And whom do we respect in that sanctuary the most? 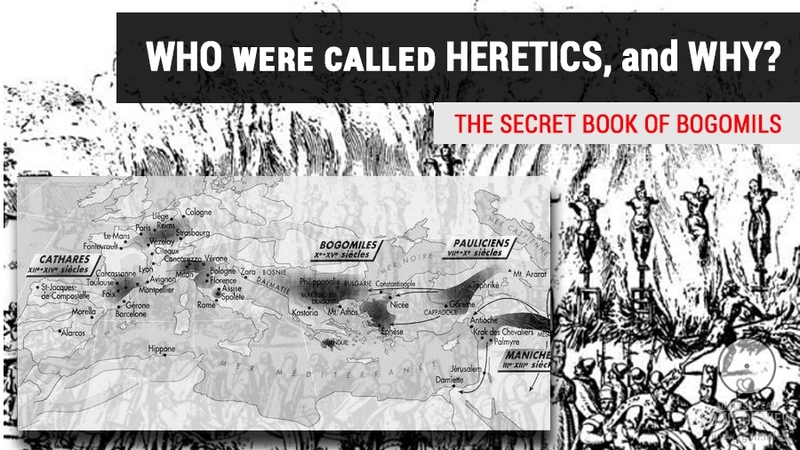 The scribes? 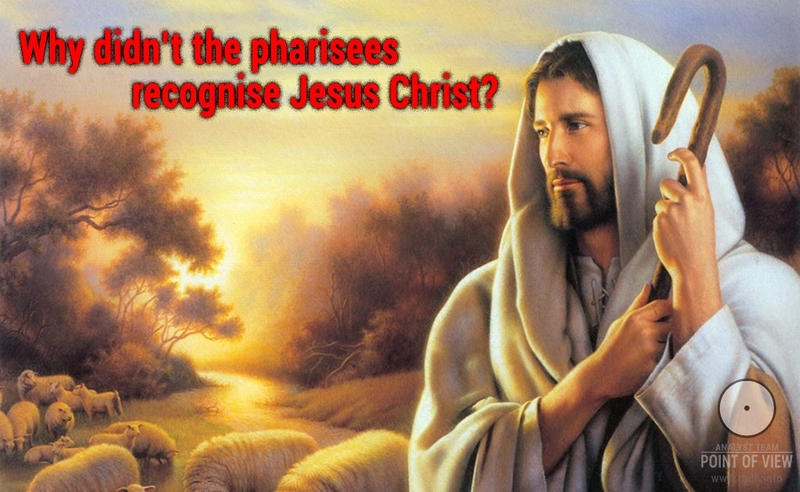 The Pharisees? The high priests? All that ever came before me are sheep and robbers – and worse! For it is not your bread and gold that they steal, but your very lives! Their words and faces seem pious and god-fearing, and they draw nigh unto us with their lips, but their hearts are far from me. And they are like well polished graves, that seem beautiful on the outside, but inside are the bones of the dead, and rot and decay. But woe unto them, the hypocrites, for they shut up the kingdom of heaven against men: for they neither go in themselves, neither suffer they them that are entering to go in. Nay, they love to be called of men, Rabbi, Rabbi! But do not call them Rabbi. Let them alone: they are blind leaders of the blind, and if the blind lead the blind, both shall fall into the ditch. And for ages they have taken the keys of knowledge and hidden them, replacing them with half-truths, dressed as the Truth, and therefore far more dangerous and frightful even than lies. …having chosen the road that leads to the Kingdom of Heaven, firmly of heart and mind must you stay on your path. For no man, having put his hand to the plow, and looking back, is fit for the Kingdom of God. Ask, and it shall be given you; seek, and you shall find; knock and it shall be opened unto you. The doors of Heaven will open and our Heavenly Father will give the Holy Spirit to those that ask for it. And do not ask our Heavenly Father for false treasures or earthly pleasures as sinners are want to do, but instead ask one thing: that He straighten the paths leading to His Kingdom, so that before death you might see the Kingdom of God come with power. For if you do not see God in life you will not see Him after. He is not far from every one of us but you should not think that you will find Him by descriptions or portrayals graven by art and man's device. For otherwise you will have worshiped images and serve the creature and not its Creator. For the most High dwells not in temples made with hands. As the prophet says, Heaven is my throne, and Earth is my footstool. Nor is God worshipped with men's hands, as if He needed anything. …believe me, the hour comes when neither in this one place nor in Jerusalem shall you worship God in spirit and truth. There will be no need for temples made by hands in order to speak to Him, for the house of the Almighty comprises all of heaven and earth and the stars and all you too as well, so, as it is written, this house shall be called the home of prayer. The best prayer in my home will be the song of the blessed heart, the song of love and gratefulness in harmonious choir with all that lives. Believe me: to be a human being on this Earth is a great gift of the Creator. Only human beings have been given the gift of consciousness to value their own actions, and have the great opportunity to choose their own paths. For there are many doors, but He holds the keys to all of them. But there is no other living creature in the universe endowed with mankind’s choices, and thus mankind’s responsibilities. For unto whomsoever much is given, much shall be required, and to whom much is promised, more shall be demanded. …what exactly do you call “the soul”? 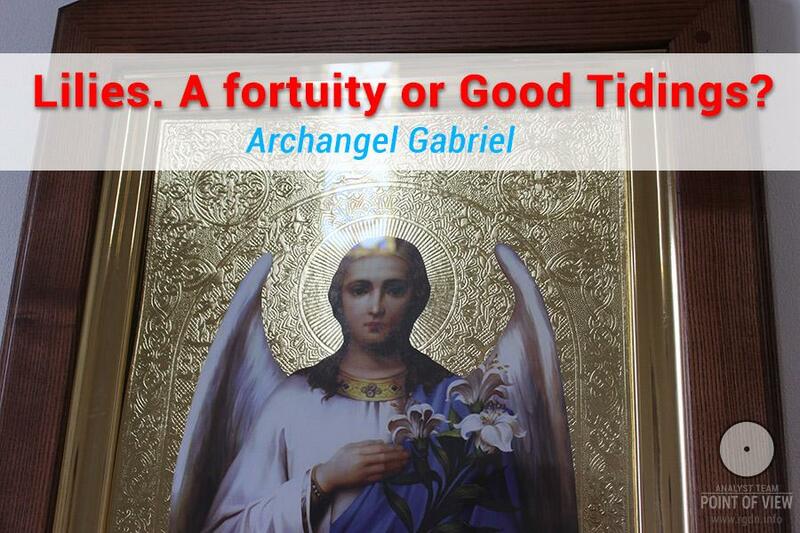 For what “soul” do you wish to pray? Do you even know what your real soul is? Is it for this false mask of yourself that you wear because you think wearing it makes it easier to live that you are praying? Or do you just wear this mask because you are so used to it by now that through force of habit it has become part of your skin, and you cannot remove it anymore without great pain? You are murdering your true soul without even noticing it, for when it is really present, then the true evil and baseness of the false mask are self-evident. But your soul, long left humiliated and half dead by you, has been hiding within you shyly, and lets its voice be heard nonetheless. Therefore there are really two persons living within you, and that is why you are torn in half, and you will know no peace, and shall not enter the Kingdom of God until you make two into one, until your outer self becomes just like your true self, and until your lost soul is reborn. So verily I say unto you: whosoever shall seek to save his mask shall lose his soul, but whosoever shall lose his mask shall save his soul. …the manner in which you pray for your soul is completely senseless. For no one else will save your soul if you will not care for it yourself. And no one will bring you the Kingdom of Heaven unless you go and seek it out yourself… The Kingdom of Heaven is always here, but you do not know how to go in. Yet if you would know what that is, ask the nursing babies, who do not yet know how to speak. And if you can hear their answer, then you will know. May those who have ears hear me now: if those who lead you say to you, “Look, the Kingdom of Heaven is in the sky”, then the birds of the sky will precede you. If they say to you, “It is in the sea”, then the fish will precede you. So do not believe them, and do not follow them. …The heaven of which I speak is both without you and within you, and the Kingdom of God is within this heaven and none other. And you need not go far in seeking it, neither shall they say: Lo, here! Or lo, here! For behold, the Kingdom of God is within you. And you yourselves do not know what treasures within you are hidden, and thus you live like paupers. But I am amazed what great wealth is hidden within this poverty. And take heed, for if the Lord knocks at your door, He knocks at the same time from without and within. And if you wish to make way for Him, remove your door from its hinges and cast it aside. May the divine light within each person blaze forth and merge with the light of God, and, becoming one, illumine all the world, so that everyone who enters and leaves will see its light. …woe unto him, who sets metes and bounds by the earth and divides the peoples. For there are no boundaries in heaven, and there should be none on earth. And verily I say unto you that all such division is just a cause of hatred and strife, whether such division be by borders, or by language, or by faith – it is all one. And if that division is within a man, then he will be filled with darkness, and he will know no peace. …From the twig you have cut down, and from the fallen leaf you have in the palm of your hand, or from your having given an unknown passerby the gift of your smile, the very history of the entire world may be changed forever. For all that is alive and dead is invisibly connected, and each thing separately is part of the other. And all things in truth live in bliss and harmony, and no one can take away that bliss, because there is no real reason for that bliss: life itself is its own reason. Has anyone ever seen an unhappy apple blossom? Even if it is torn off by a storm from its branch, it blooms and brings forth fruit, to its joy, and to the joy of those that eat of it. Who has ever seen a River depressed? Even covered with ice its waters flow and flow, undeterred in their steady stream. And who has ever heard the nightingale singing a sad song? It knows no sad songs. Only man has doomed himself to suffering, for he has blinded his eyes and stopped up his ears, and cut himself off from creation, and made of a living heaven for himself nothing but hell. Today I break bread with you, and drink wine, but tomorrow a great miracle shall come to pass: this bread will become my flesh, and this wine will become my blood. And so I say unto you: take, eat: this is my body, and take, drink all of you, for this is my blood. And so it is for each and all of us, for we are all brothers fed on the same bread, and so our flesh and blood are all one. Together we are all one body, and each of us is one of the limbs. And the master knows that if the least part of our bodies, even the smallest finger, aches, then the entire body aches. The finger itself cannot know this, for it is lacking in reason. You are all limbs, and all parts of one whole, and you are not lacking in reason, and yet reason you cannot. For if you could reason, you would never harm your neighbours, but instead would love and care for them. All of us are bound by unknown forces unto one whole. This is why the heart feels such bliss and health in doing kindness to another, for in reality when you do a kindness to another you are doing kindness to yourself. Therefore I say unto you: plunge not your sword into another if you would not bleed yourself. When you understand this in your heart, then your heart shall begin to beat differently, and the Kingdom of Heaven will draw nigh unto you. And new great marvels will your eyes then discern. And false treasures that you have once prized you shall no longer see. For Judgment I am come into this world, that they which see not might see: and that they which see might be made blind. …Before Abraham was, I am, and I am and was before my mother was born. It is only through our mother’s womb that we come to this earth. And I say to you: "When you see one who was not born of woman, then you have found your own real self, and then you shall reign over all creation. …People are like curious birds that have been born in a chicken coop. The little chick’s father and mother are also both chickens, and they sing to the chick their chickenly songs, and they boast of their most beloved chickens, and they mill and root in their chicken manure, and they cannot fly. But everyone – they themselves, and their most beloved ones, and their friends, and their foes, all wish that little chick to grow up into a fullfledged chicken. Some are afraid they will be ashamed one day. What if the little chick grows up to become a hawk or an eagle? And indeed they could have become a hawk or an eagle! But they don’t, out of weakness of spirit and through letting themselves be led into temptation. They fear humiliating themselves before their children and losing their power over them. If a bird has wings and can freely fly through the sky, who then will control its flight? And who will tell it which way to fly? The bird will choose its own course, following the direction whispered to it by its heart. And no direction could possibly be more correct, for it is through the heart that God speaks to us. Now many people in truth are afraid of their own children, when they see that their own children are free little birds, while they are naught but chickens. So they break their children’s wings, and rip out their own little eaglets’ feathers, and will not let them fly. And they stop up the throat of the little nightingales, and force them not to sing, but to cackle like a flock of chickens. Some do this from good intentions. They might have even perhaps been glad to see their bird fly if it had taken off, but they fear for its life. They too might' have been able to fly for themselves once, but they didn't, and so now they do not want their own little bird to fly. And so I say to you: do not hurry to teach your children. For God gives them to you so that they can teach you how to return to you what you had lost. And what is hidden from you shall be revealed unto the little babes. Can you really not see when you look into their eyes, that they each have something within them that one hundredfold surpasses all human treasures of wisdom and knowledge? And their angels in heaven always behold the face of my Father which is in heaven. Woe unto you, when blindly you lock the doors of the Kingdom of God to the little babes! For the child will rise up against his parents, as it will not desire to slake its thirst with befouled water from a stagnant pond, when it can see a clear and flowing spring right by. Think not that I am come to send peace on earth. I come not to bring peace but a sword. I am come to set a son at variance against his father, the daughter against her mother, and the daughter-in-law against her mother-in-law. I am come to set fire upon the earth, and wish it were already kindled! Many do not understand me, as the people have blinded their eyes, and hardened their hearts, but blessed are your eyes, for they see; and your ears, for they hear. I address my words unto you, but not to all men, for the bread which I share with you is poison for the fool. For whoever does not hate his father and his mother as I do cannot become a disciple to me. And whoever does not love his father and his mother as I do cannot become a disciple to me. For we have all come from Heaven, though our earthly father and mother truly gave us life on earth. Do not fear to wander lost, when you shall seek your way, for only the very strongest are capable of finding their way. And the sheep that has broken free from the herd shall be more beloved of the shepherd who finds it than the others, for only it shall have been able to find the true path for itself. …There is no blaming the cattle for being locked in their barns, for it is men who have locked them in. But to their own shame, men have done to themselves what no other animal is capable of doing to itself, and men have locked their own selves into a prison, and have moved themselves inside of it, and thrown away the keys to their own stalls and cells. And woe to the children who are born in such a prison. They grow up, and know no other life but the life of their fathers and forefathers, and afterwards they cannot even see how they are imprisoned, for their eyes have lost their sight from the lack of light in their place of confinement. And as they see no one else who lives in any manner differently, they think therefore that their life is the only possible way to live. For if your eyes have never seen the light, then you do not know that you live in darkness. And with all their strength and might, people spend their lives trying but to decorate their jails, some with expensive furnishings, or others with a pretty handmaiden. But there is no good in this whatsoever, for a prison remains a prison, and you must leave it in order to be free! If you had known me, you should have known my Father also, for I and my Father are One. And you are asking me because you have not yet entered into His Kingdom and cannot look upon His face. But when you shall enter and when the Holy Spirit shall be with you, then My Father will receive you just like his very own children. …There is no cause to fear: for in my Father’s house are many mansions. There will be room for all who wish to enter. But first you must know yourselves. When you come to know yourselves, then you will become known and accepted by the Almighty, and then you will realize that it is you who are the sons of the living father. And through you as through all of his creations, He does appear. But Man is his chief creation. Why then do you hide the Godhead that is within yourselves? Reveal it to the world, and glorify yourselves and your Creator! And verily I say unto you: when you shall know yourselves, recognize what is in your sight, and that which is hidden from you will become plain to you. But if you will not know yourselves, you dwell in poverty and it is you who are that poverty. And verily I say unto you: if you grasp not the beginning, you shall not comprehend the end. So you shall not learn what is around you, if you do not see what is within you, and if you do not know what is within you, you shall not see the beginning or the end, nor learn the secrets of our Heavenly Father. …Therefore I say unto you: you are the beginning of all and the end of all. And when you have grasped this, then you shall see the Kingdom of Heaven. Then you shall see that I am in My Father and you in me, and I in you, thus My Father is Your father also. And then you shall be, as I am, his messengers on this Earth… One into whom the Holy Spirit has breathed life, will never be ordinary. Awake, you that sleep, and see the light! …What is faith, my brothers? I wish to give you faith in the existence of the Kingdom of God itself, so that faith might light within you a fire of unquenchable desire to seek out and find that Kingdom. For there is a great and boundless Kingdom, which only the spirit of righteousness may enter. It cannot be seen even with the eyes of an angel, nor grasped by the mind of reason, nor can you describe it with the tongues of men. To believe is to taste an unripe carrot. To confirm is to drink sweet mead. Therefore do not only believe, but confirm within yourself and experience – I summon you to. For if your faith will be just a crutch for cripples, there will be little sense in it. I give this crutch to the cripple not so that he can hobble lame for the rest of his life, but so that he may be cured and enter the Kingdom of God within his own lifetime. But those who are healthy do not need crutches, therefore let them give their crutches to the needy. For he who has already learned and confirmed the truth has no need to believe. …Commandments are given for those of you who hear and do not understand, and see, and yet do not perceive. For the following of commandments can neither give life, nor bring blessing nor make a man just. For these things you need true faith that comes from Love… The law was added for those of little faith, in whom the Word of God does not fit, to keep them from transgressions, until they gain true understanding. Unto you it is given to know the mysteries of the Kingdom of God. 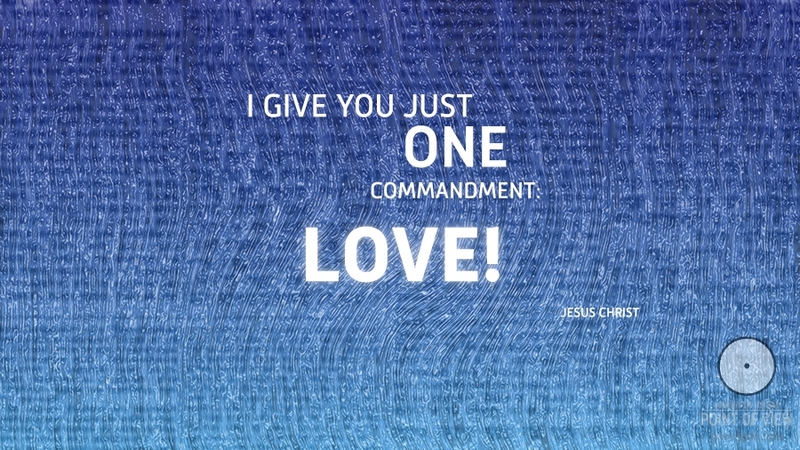 But I give you just one commandment: LOVE! On this commandment hang all the laws and all the prophets. All the other commandments are its children, and Love is their mother. And if their Mother is within you, so all her children are also within you. And you need not know them all by name, when they are within you, and part of you. So I say to you again: Thou shalt love the Lord thy God with all thy heart, and with all thy soul, and with all thy mind. And thou shalt love thy neighbour as thyself. For if you love not your neighbour as yourself, yet claim that you love the Lord thy God, you lie! Love your Heavenly Father as you love your own life, as a great gift from Him, and live with every fibre of your being and to the farthest extent of the firmament. Love your neighbour: this means nothing more than loving every creature of God with all your heart. And that is why I say to you: love your enemies for from the stone which you cast at them will spark a fire which will come back to burn you. Thus, love your enemies, and bless them that curse you, and pray for them which despitefully use you. Be tolerant of them, for they are blind, and therefore they need your love and compassion more than anyone. For they conceal their pain and tears behind smiling masks. Thus, with your love provoke in them the very love that they have allowed to grow cold in their hearts. And remember, the one you forgive the most will love you the most, and the one you forgive least shall love you least. And if you love them which love you, what thanks have you? For sinners also love them that love them. Let true and profound love settle in your heart. Complete Love. For even if you live like the most righteous man on earth, entirely by the laws of God, though you speak with the tongues of men and angels, and have the gift of prophecy, and all knowledge, and all faith, but you have no love, and within your heart there lurks the least resentment even of the least little worm, then you are become as a sounding brass or tinkling cymbal, and it does not profit your soul, and you shall not enter the Kingdom of God and you shall not be worthy to show others the path to it. When in your hearts you shall feel love so profound that an adder’s sting would seem sweet to you at that moment, then you shall perceive it. And then you shall have no cause for doubt, for you yourself shall become Love, when love shall fill your soul and heart with its abundance, and you shall not be able to contain your joy, and love shall flow from you in a golden stream on all and sundry. And, as the scripture has said, out of your belly shall pour forth rivers of living water. You are all children of love, born of love, and is it not meet that you become love as well? AND TO BECOME LOVE MEANS TO ONE WITH GOD AND TO BECOME GOD! FOR LOVE IS GOD! AND GOD IS LOVE! And there is no other path to enter His Kingdom: for men this is impossible; but with God all things are possible. …The light which is within you shall show you the true road, and Love, True Love which abides in your heart, shall open the door that you need. Complete Love and the Holy Spirit come together, for they are one and the same. If Love is with you, then the Holy Spirit is with you, and if the Holy Spirit is with you, then your Love is Complete. …Indeed, a man's life consists not of things which he possesses. You are careful and troubled about many things, but just one thing is needful for your soul, in order that the seed of the Word of God may take root in your heart and bear fruit. …It were better you had not been God-fearing, but God-loving. For God has loved you before. And you shall love Him with His True Love, in which there is not the least hint of fear. For there is no fear in love. Perfect Love casts out fear, for fear is torment. Someone who fears does not love with perfect love. …All good deeds are the light shining without the man, but this light shall not illumine the path to the Kingdom of Heaven. But there is light within a man of light, and he lights up all the world. If he does not shine, there is darkness. And even if you bestow all your goods to feed the poor, or you give up your body to be burned, if the light of Love does not illumine your actions, it will profit you nothing. For all things are plain in the sight of Heaven, therefore do not tell lies, and do not do what does not truly come from your heart. Otherwise if you fast, you will give rise to sin for yourselves; and if you pray, you will be condemned; and if you give alms, you will do harm to your spirits. I do not reproach you for your wealth for I see that you are willing to share it with your fellow man, but I say unto you let your heart not be there where your treasure is. And I say unto you, who are rich: it will be difficult for you to enter the Kingdom of God, for all your cares and possessions are like a stone wall blocking your path. But there is another side to the coin, for who but you should enter into the Kingdom? For your wealth is permitted you to understand that which others can only dream of. Your possibilities have allowed you to try and taste of all worldly delights. And therefore you have been privileged to understand as no one else has the real falsity and the vanity of these treasures. If one who knows the all still feels a personal deficiency, he is completely deficient. And when you understand this, you shall not lay up for yourselves treasures upon earth where moths and rust do corrupt and where thieves break through and steal. For if you have true strength, then you shall dream not of glory nor of power, but instead will direct your gaze to the imperishable treasures, not of this Earth, but of Heaven. And all the worldly passions and desires in which your soul was seething and boiling shall quit you, and with them shall go all the false opinions and certainties which are imprisoned you. And your soul will be empty and clean and full of light. …Your soul will not be completely empty in the way you are now imagining. For when you have completely freed it from the junk which you have ignorantly burdened and darkened it with, then it will be filled with light. And it is only from purity and from the light that the Holy Spirit may be born, but that light must first come into being of its own accord. And to put this in earthly words and measure it with earthly measure, then you can call this emptiness “poverty of spirit,” except that it is in fact your only true wealth. This is why I say to you: Blessed are the poor spirit, for theirs is the Kingdom of Heaven. And therefore be ye wise, like serpents, and harmless as doves. Seek the light within which will save you. And if you die for your unreasonable desires in your pursuits of the vanities, only then will you be reborn for the true life, only then will you attain true freedom. For that which you call freedom now will be revealed to you as slavery. And then you will understand what godly bliss truly is. And you will greet each new day as a new miracle, with great joy and love.